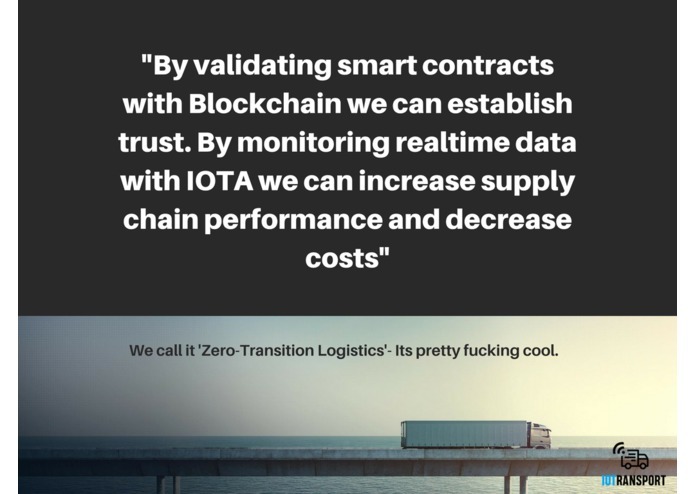 Zero-transition logistics, based on simplification of Smart Contracts and true supply chain monitoring using IOTA. 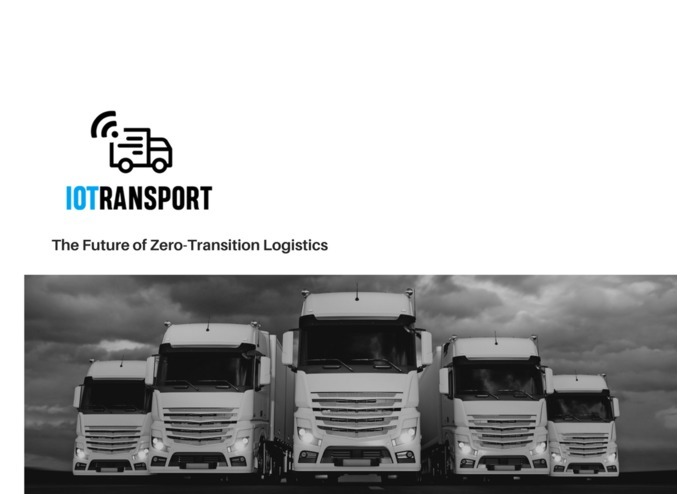 In short: Zero-transition logistics. 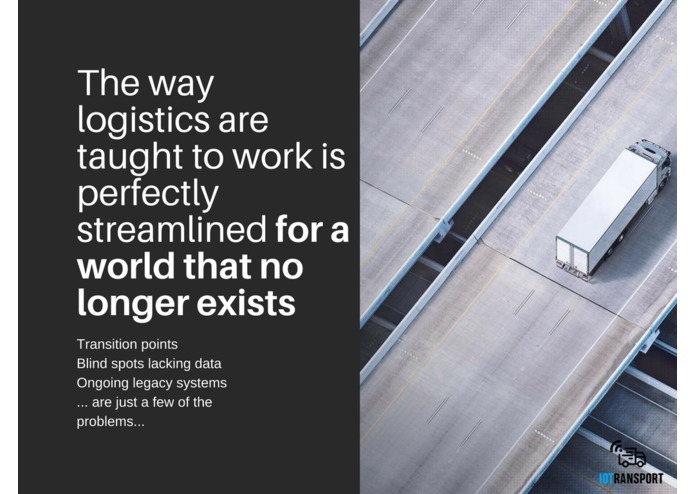 Our solution is monitoring and measuring the quality of the end-to-end supply chain, no dead spots, human errors, or validation issues. 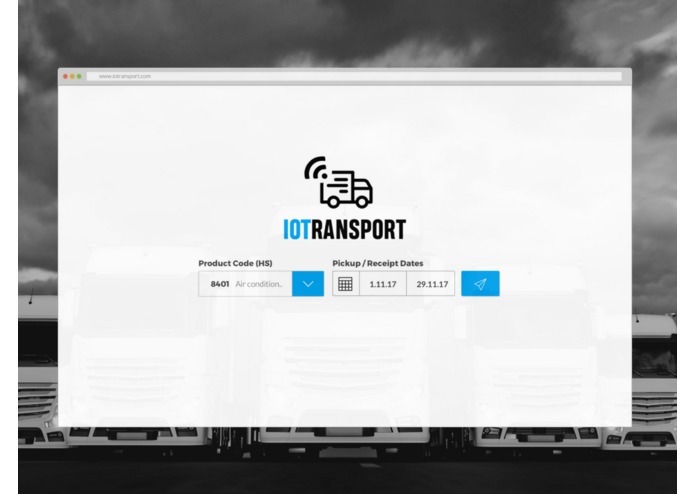 A Smart Contract is created in a simple web interface by the customer, on which multiple logistics companies can bid based on a reverse marketplace model. After a match, the Smart Contract is automatically generated and stored in a distributed ledger. 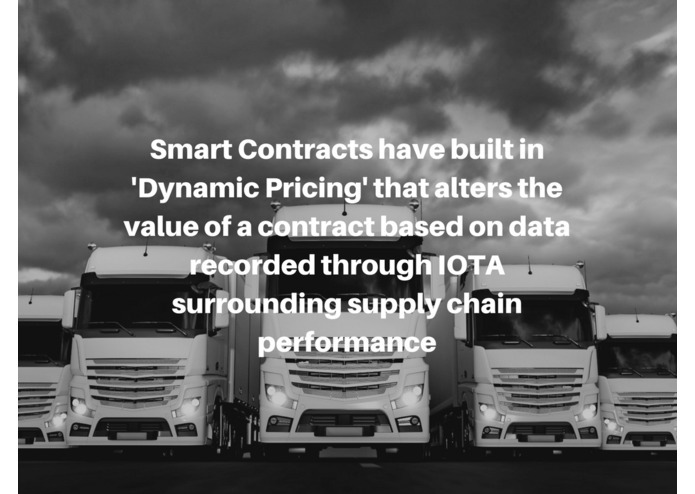 The parameters of freight (such as temperature, shock and humidity) are measured and validated during transportation using IOTA, and the final value of the Smart Contract is determined based on performance in a dynamic pricing model. Every entity in the chain gets paid based on real-time performance. Simple, effective, and ground-breaking. Details: In a supply chain, many different parties and entities are involved. The product is handed over from party to party several times, in which collaboration and quality are key requirements. 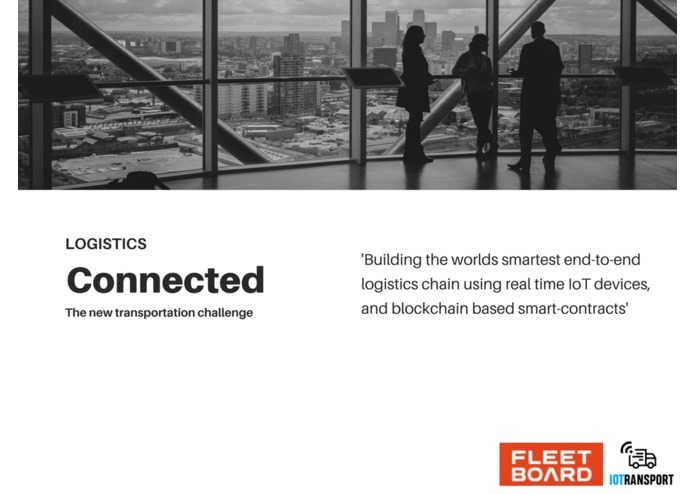 Currently, this collaboration and definition of quality heavily relies on contracts between customers, forwarders and airlines or shipping companies. The set-up of these contracts is a long process, and they are not tamper proof. Yet. 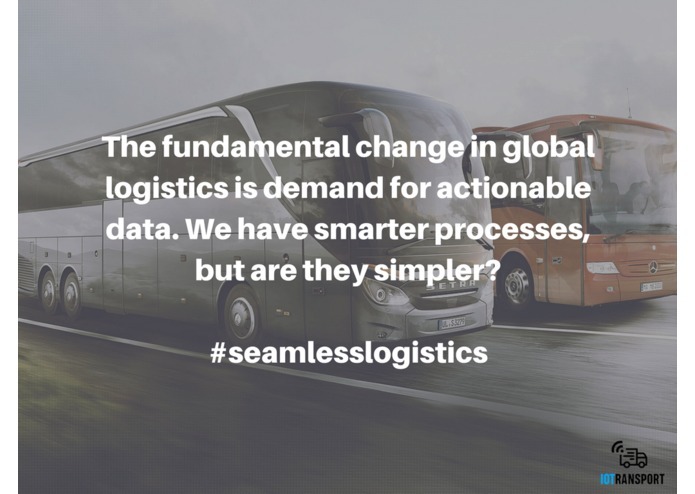 We want to revolutionize the way the supply chain is orchestrated. One single, zero-transition chain, that is easily set up by the customer, and where value is determined by the true quality of service. Contracts are common and modular, so we’ve set up a tool in which the customer himself can set up the contract. 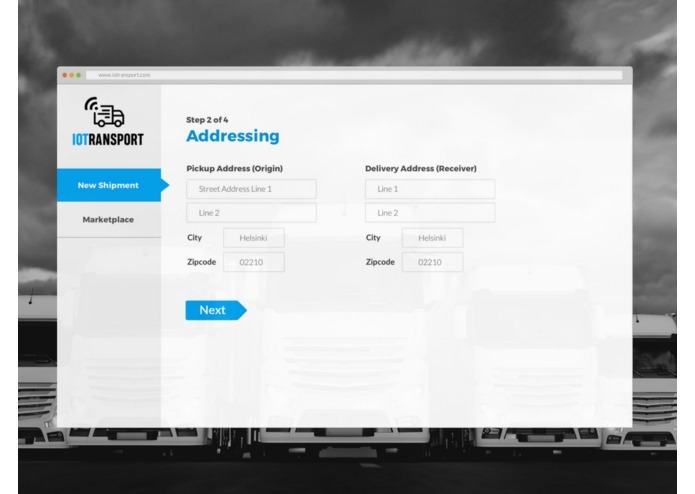 Contract conditions are parameterized, and the contract is uploaded to a marketplace when ready. 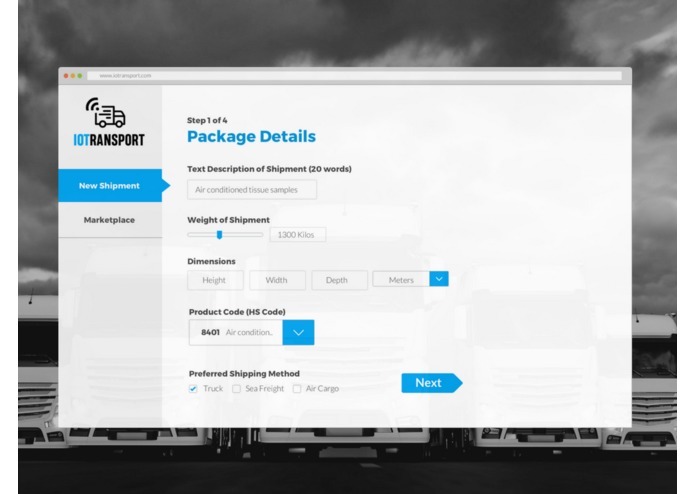 Logistics companies can access the marketplace and bid on the initial value of the contract based on the requirements and conditions as defined by the customer. The lowest bid wins. After confirmation, the contract is turned into a Smart Contract and stored in a distributed ledger. 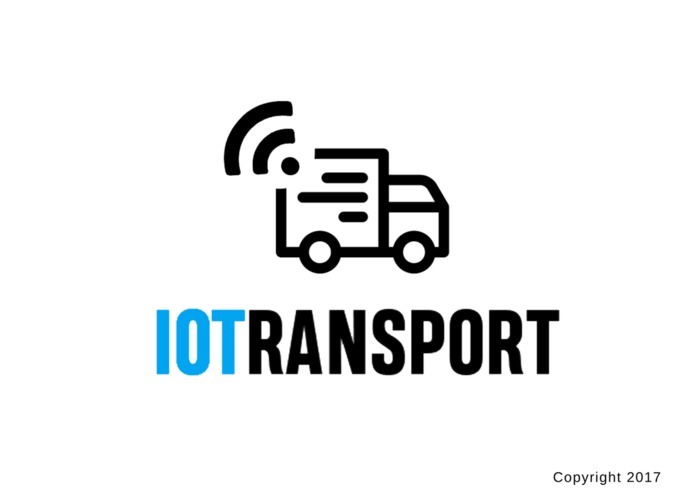 The conditions of the shipment during transportation are measured by the IOTA device that is added to the shipment by the customer. 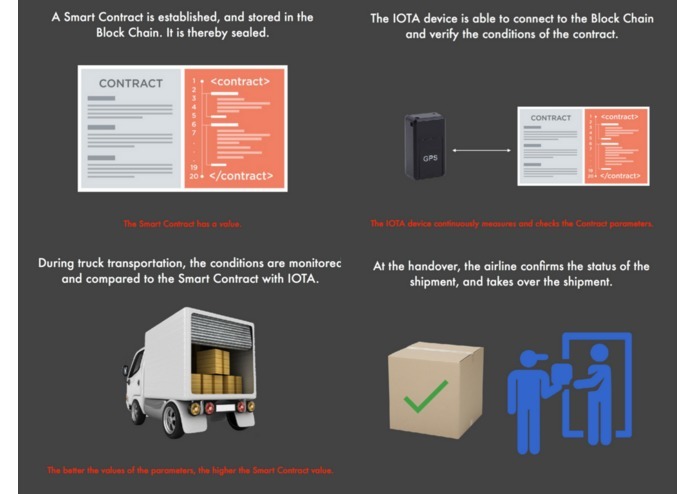 It communicates with other IOTA devices and the Tangle, and is thereby able to validate the conditions of the Smart Contract in real-time. 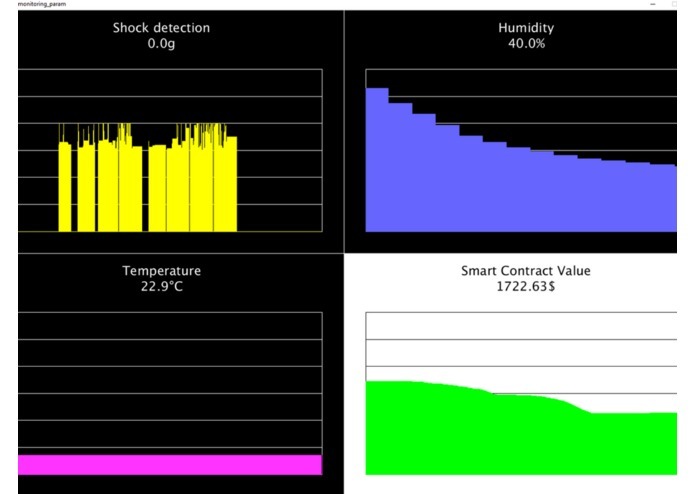 The parameter values during transportation determine the final Contract value. 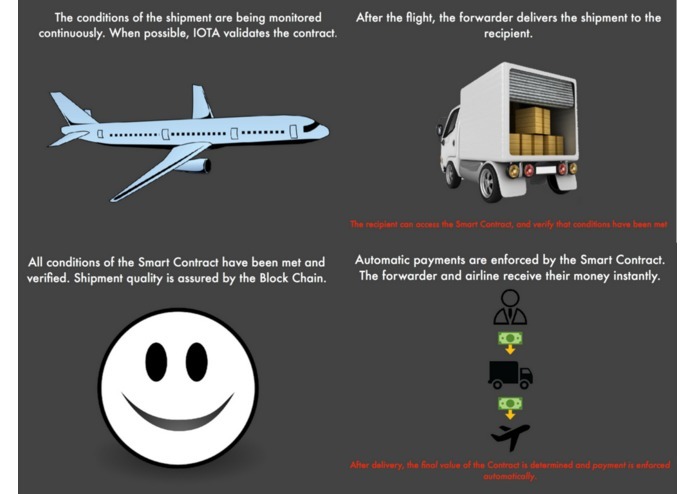 Payment of the final value is automatically enforced by the Smart Contract, as soon as the shipment has been delivered to the final address.